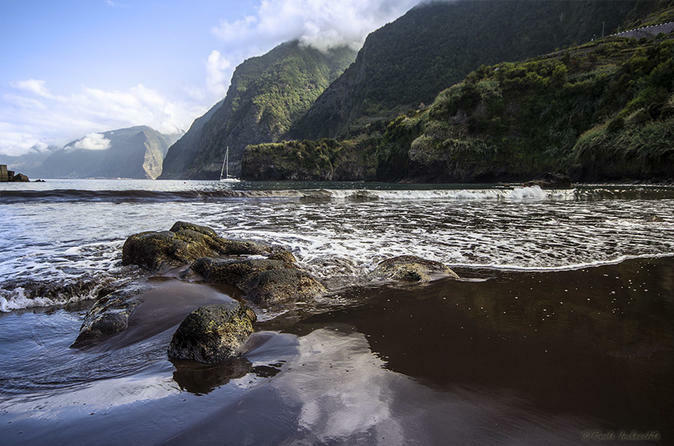 Embark on comfortable catamarans for a relaxing trip along Madeira's south coast. 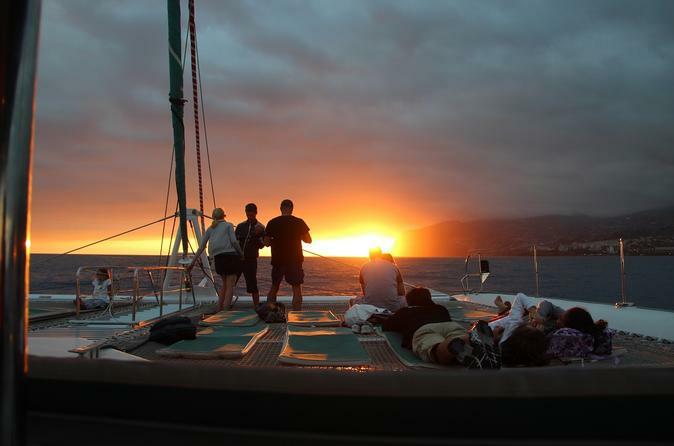 Get the chance to spot dolphins and whales and, occasionally, even turtles! 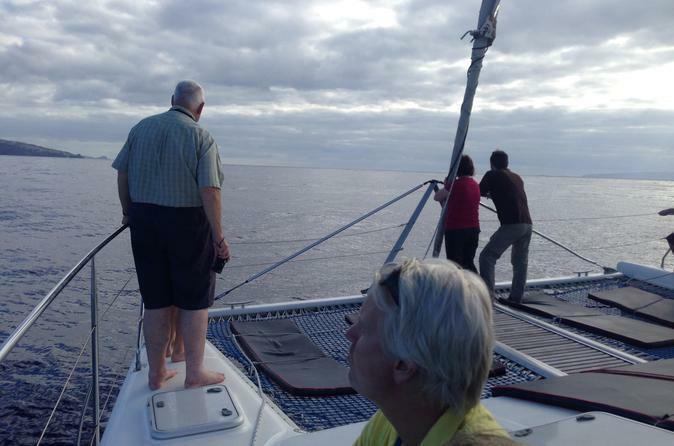 If the winds are favorable you will travel under sail for an unforgettable experience! During the summer months stop for a swim in the crystal clear waters below Cabo Girão. 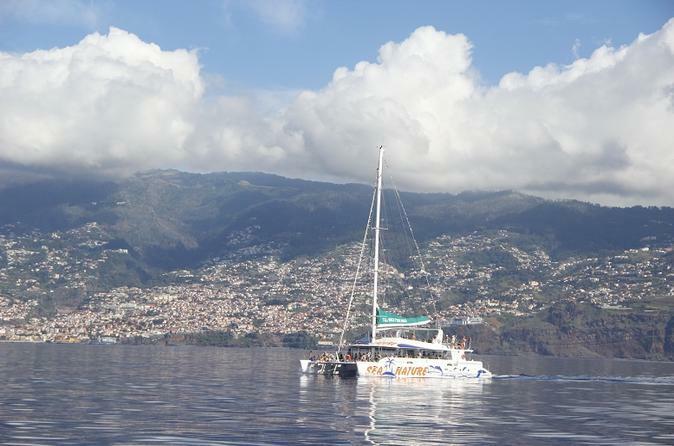 The tour departs from Funchal Marina and allows guests to enjoy an unforgettable trip on an award winning Catamaran. Part of this fun package is keeping a look out for the dolphins and whales, which are often spotted splashing and jumping nearby. The tour is restricted to a maximum of 18 couples, meaning everyone has a better chance to relax and see the sea life without crowds. Enjoy swimming in front of Cabao Girao, the second highest sea cliff in the world, with the goggles and masks provided. Rabaçal is a unique and magical place, full of waterfalls and fountains. The “25 Fontes” Levada Walk is one of the most visited in Madeira and Cabo Girão, the highest cliff in Europe.There is also a Jeep tour included in this activity. Explore Funchal and see what all the locals are buzzing about. Taste the most traditional and authentic gastronomy from some restaurants, wine producers and the local market. Be a Madeiran for a few hours. The levada walk will allow hikers to enjoy the evergreen and luxuriant Rabacal valley situated within the natural park of Madeira, in the North West of the island and discover the concealed treasures of the indigenous Laurisilva forest with its abundance of mosses, lichens and ferns. 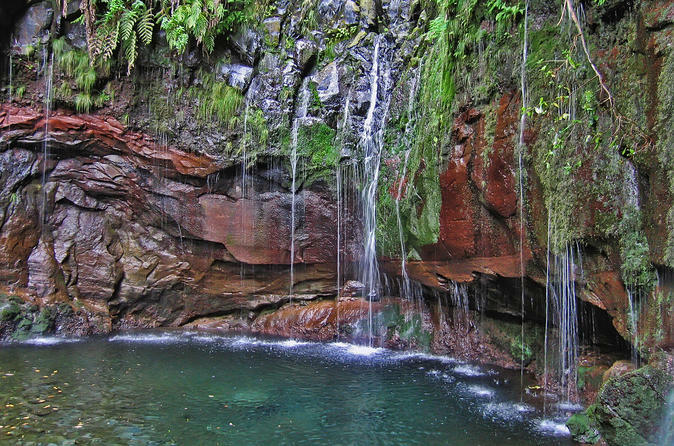 As you stroll along the levada to Risco and the 25 fountains, the cascading waterfalls will seem to be singing fountains and the tiny translucent lakes will enchant you. 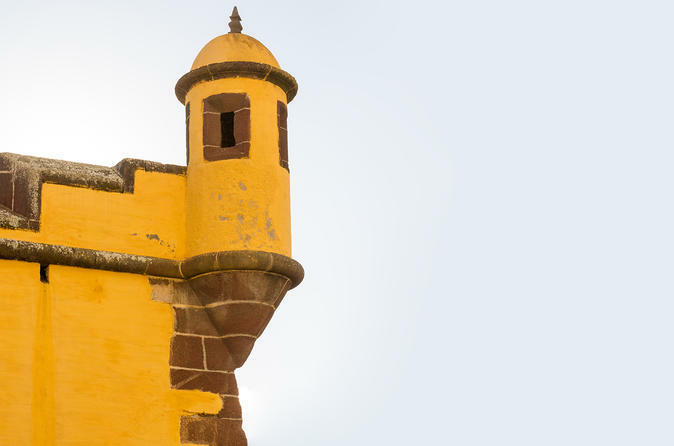 Your tour to the emblematic monuments of this part of the town will be guided by a former university student integrated in this project, developed at the University of Madeira. This will be a university project with a solidary side that will most certainly fascinate you. Enjoy this Madeira West Island Tour with a short levada walk, for it is one of the most popular tour on the island. This is a really scenic tour with a variety of things to see. 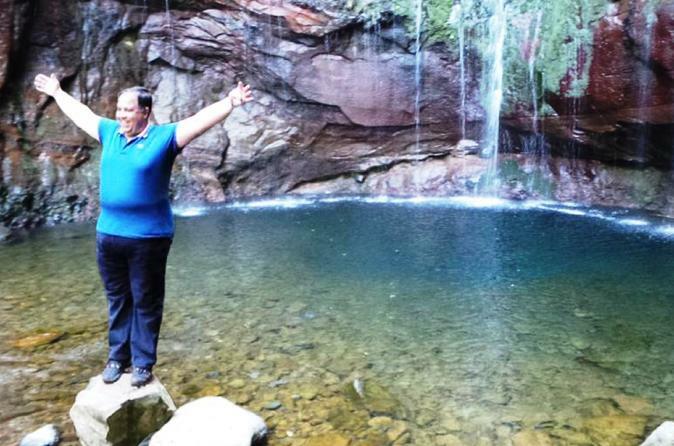 You will enjoy the mixture of coastal, mountain and forest views that you will encounter all along the tour. The guides are all experienced and will give you and informative and entertaining tour. 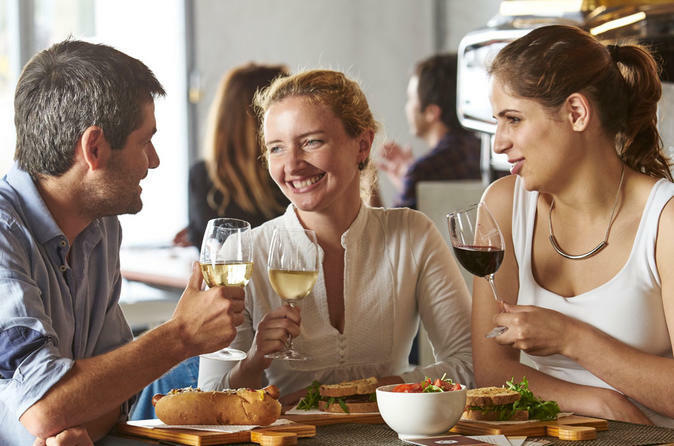 At lunch time enjoy a traditional lunch with a local wine. Enjoy a unique setting with the beautiful colors of a sunset reflected in the sea, accompanied by the peaceful melody of the ocean. 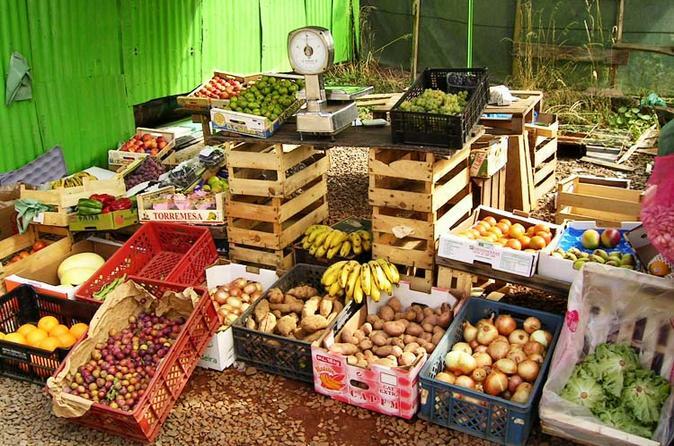 Enjoy this tour to Sunday Market - country delights, places this tour goes through: Garajau - São Pedro - Aguas Mansas - Lamaceiros - Portela (lunch) - Santo da Serra (traditional market) - Morena - Santa Cruz. 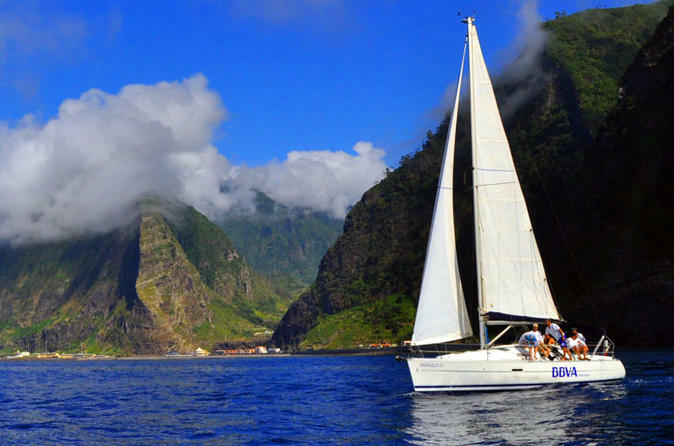 Go Yachting along the south coast of Madeira Island and see our clear waters and amazing views. You can choose this trip with or without skipper.